Polestar variants of the Volvo S60 sedan, left, and V60 wagon are shown. (Bloomberg) -- Volvo Cars bought Swedish racecar maker Polestar's tuning division and will use the name for an expanded high-performance line to challenge Mercedes-AMG and BMW's M models. 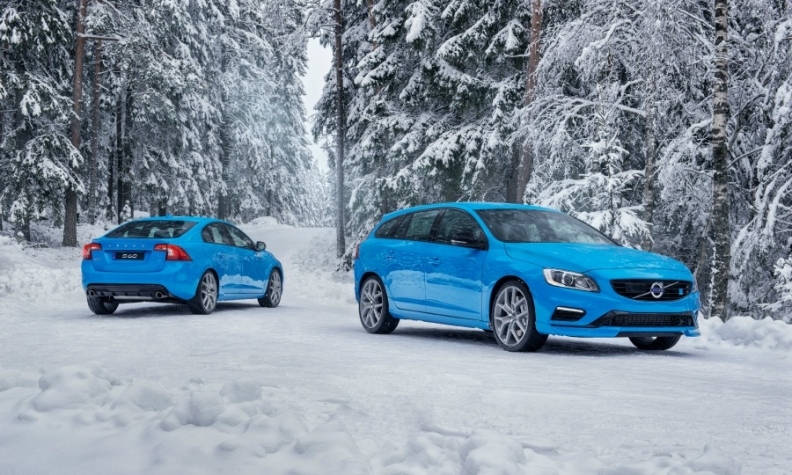 Volvo already sells Polestar-tuned versions of the V60 wagon and S60 sedan under a cooperation deal signed in 2013. "We have decided to bring this experience to more Volvo drivers, placing the full resources of Volvo behind the development of Polestar," CEO Hakan Samuelsson said in a statement. Volvo is following Jaguar Land Rover as well as German rivals BMW and Mercedes-Benz in offering sportier versions of its regular models. Volvo didn't disclose financial details of the deal. The purchase doesn't include Polestar's racing unit, which also collaborates with Volvo and will remain controlled by owner and CEO Christian Dahl, himself a former racecar driver. The biggest markets for Polestar's sporty versions of Volvo cars are the U.S., the U.K. and Australia. Polestar, which only works with Volvos, uses performance-enhancing software and tunes cars to increase mid-range engine performance by making changes to the gearbox and throttle response. Volvo and Polestar have been working in motor sport since 1996. Existing Polestar Performance employees will become Volvo employees. Volvo aims to boost its global annual sales to 800,000 vehicles by the end of the decade from a target of 500,000 cars this year. Last year, Volvo sold 465,866 cars. The Swedish automaker was bought from Ford Motor five years ago by Chinese billionaire Li Shufu's Zhejiang Geely Holding Group Co.